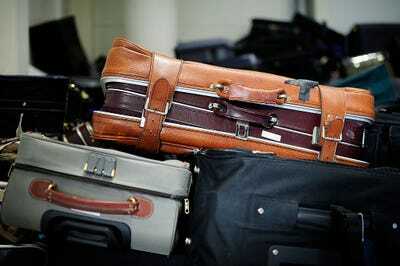 Simply placing a ‘fragile’ sticker on one of your suitcases can help, according to Travel & Leisure. Nothing beats the buzz of touching down in a new foreign country. The new smells, sounds, even humidity all add to that blissful feeling that, finally, it’s time to relax. Then it takes ages for your luggage to arrive. You start to break out in a cold sweat, panicking that the worst thing that could happen on day one of your holiday has happened: they have lost your bags. If this sounds familiar, there’s a simple hack you might want to deploy when you next hit the road. According to Travel & Leisure, simply requesting one of those “fragile” stickers at check-in desk could help. The publication points out that it’s not an entirely foolproof method, as the sticker could be missed by luggage handlers, but it’s probably worth a shot on your next trip.